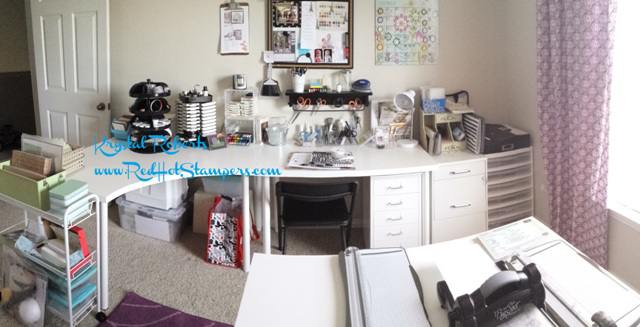 Ah the lovely coveted craft room. 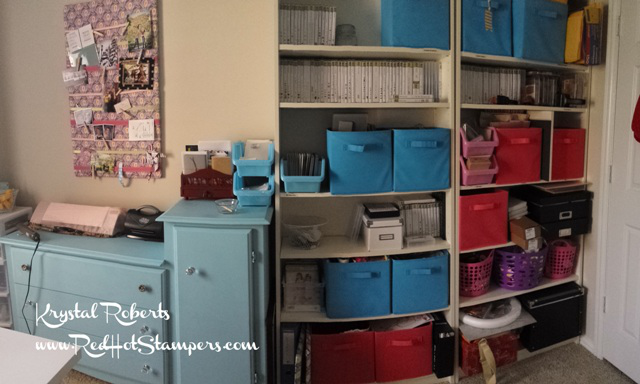 Do you drool over all those beautiful, charming, perfectly neat and organized spaces on Pinterest like I do? I love seeing a beautiful space. And I HAVE a beautiful space. An upstairs guest room all to myself. 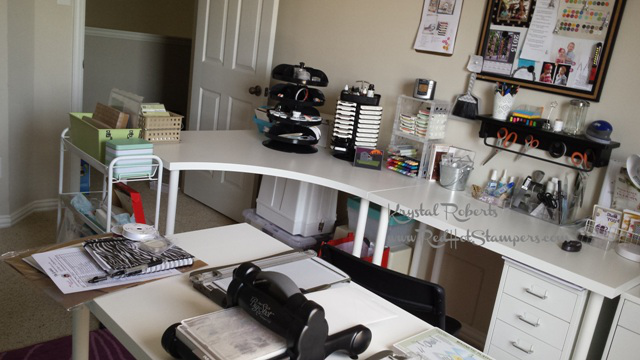 Full of fun tools and supplies, and a fabulous desk space, and lots of shelf space... and you know what? I never use it! 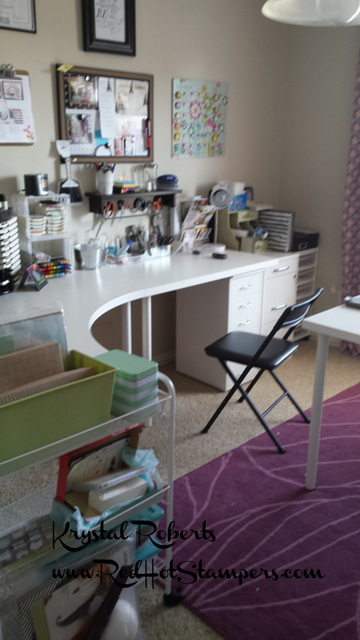 Never say never, but it's a rare day when I really AM able to use the space without being interrupted. So, I'm giving it up. 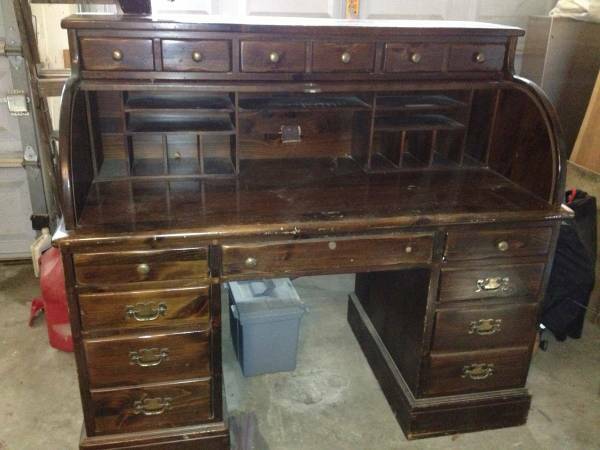 We decided on the desk.